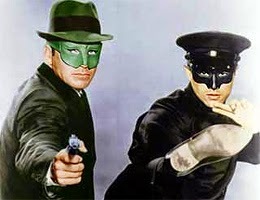 48 years ago on this date of December 9th in the year 1966, the 13th episode of the new TV series, The Green Hornet, aired. Posted this episode to mirror the airdate from 48 years ago. Two million dollars worth of narcotics have been smuggled into the country, and the only man who knows where they are, Gus Wander, is brought to a hospital in a coma. His associates have no clue where to begin looking. But The Green Hornet has an approximate idea, due to some earlier work. He tracks down the head of the operation in hopes of finding the narcotics and bringing the criminals to justice. On the pretense of wanting a piece of the action, he offers his help in locating the drugs. But the crooks have no plans of sharing, and set up for "Honey Boy" to finish him off. Today would've been Barney Ross' 105th birthday! Profile of Tan Tao Liang - Happy 67th Birthday! Happy 98th Birthday Archie Moore!! 9:10:11 AM 12/13/14 - Make a Wish!